Prof. Guntae Kim (School of Energy and Chemical Engineering) is posing for a portrait in his laboratory at UNIST | Design by Sujin Choi, Photography by Kyungchae Kim. Fossil fuels, such as oil, coal, and natural gas are the world’s primary energy source and used today by most industrialized and developing countries. However, when overcomsumption takes place, these energy source can lead to environmental problems, as well as serious energy crisis in the future. Solid oxide fuel cells (SOFC) have been considered as one of the most energy efficient and environmentally-friendly energy conversion devices to solve these problems that energy industry is facing at present. However, while these fuel cells are highly energy-efficient and energy-friendly, they also have a number of disadvantages regarding their longevity and performance level. 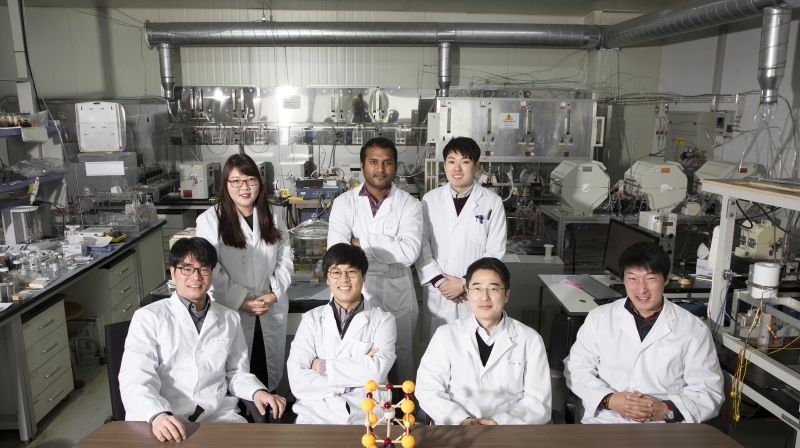 To overcome the limitations imposed by logevity performance, researchers at UNIST, including Dr. Guntae Kim (School of Energy and Chemical Engineering) have been working hard to improve the reliability and endurance of full-size cells with the ultimate goal of transferring technology that facilitates commercial adoption of acceptance of SOFC devices. 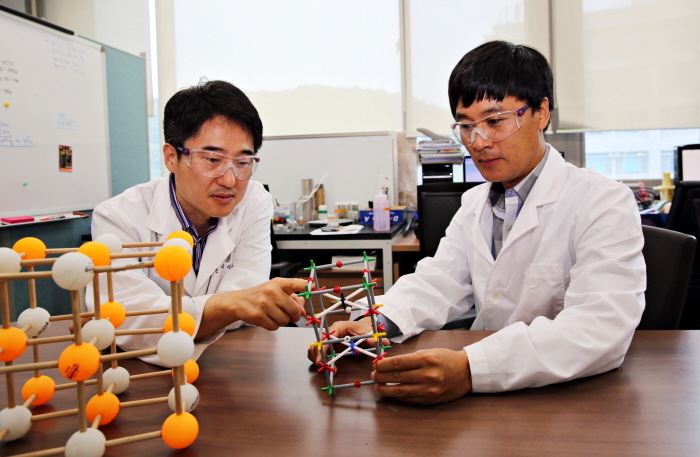 In recent years, Dr. Kim’s research team had engineered a new material for direct hydrocarbon SOFCs that can directly generate electricity from natural gas. This work has been published online in the December issue of Nature Materials, a peer-reviewed scientific journal published by Nature Publishing Group. 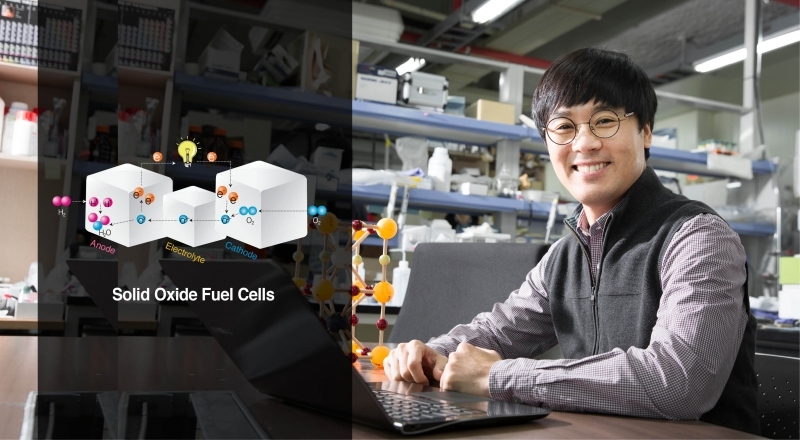 In this study, Dr. Kim’s team demonstrated for the first time that related layered materials can be used as high-performance fuel electrodes. Dr. Guntae Kim wears many academic hats. He is the recipient of the Texas Public Education Grant-International (2002-2003), as well as the Robert A. Welch Research Foundation Fellowship (2002-2005). Prior to joining the Interdisciplinary School of Green Energy at UNIST, Dr. Kim was a Postdoctoral Research fellow at the University of Pennsylvania, Philadelphia, U.S. from 2007 to 2009 shortly after attending the University of Houston, U.S. as a Postdoctoral Research fellow from 2005 to 2007. In 2009, Dr. Kim joined UNIST as an Associate Professor with research and teaching focus in green energy, environmental friendly chemistry, electrochemistry, and SOFCs. 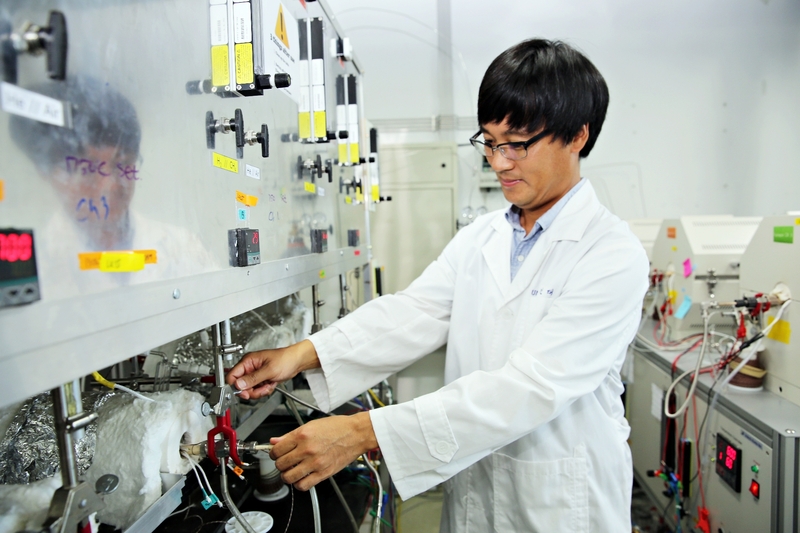 Dr. Kim received his bachelor’s degree in the field of Industrial Chemistry from Kyungpook National University and his Master of Science (M.S.) degree in the same field from Kyungpook National University. In 2005, he received his Ph.D. in Chemistry from the University of Huston. After completing MS in Industrial Chemistry, he continues to work on green energy and chemical engineering, as well as chemistry and related fields while working as a research and teaching assistant at University of Houston (2001-2005). In 2002, Dr. Kim has also worked as a research associate at Korea Research Institute of Chemical Technology (KRICT), Korea. From 1998 to 2000, he has been a research and teaching assistant at Kyungpook National University, Korea.